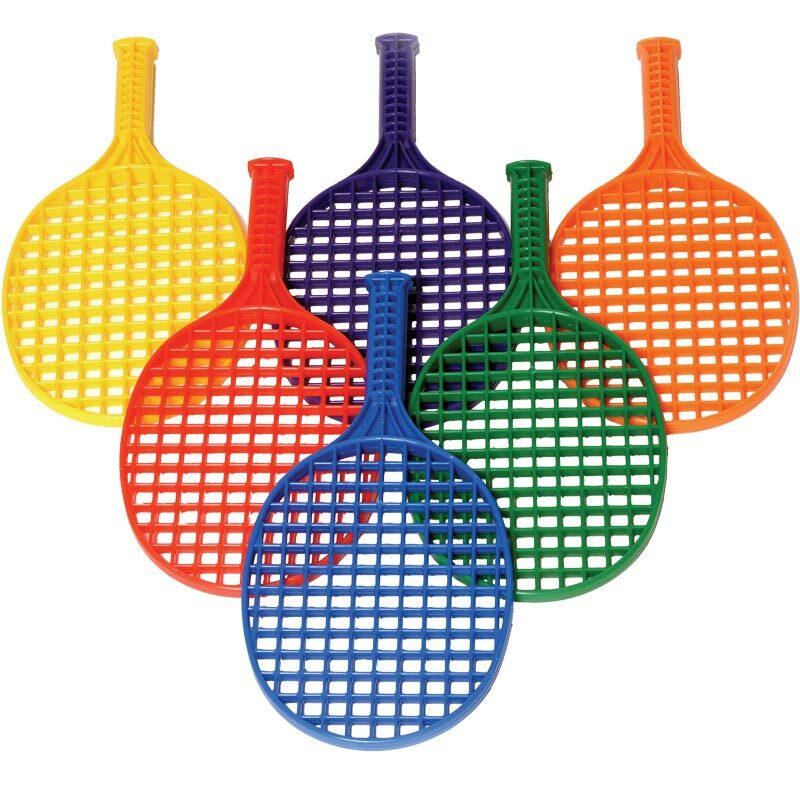 PLAYM8 ® Mini Tennis Rackets are a one piece moulded plastic racket which is break-resistant making them the great beginners tool for early racket skills. The shorter handle means the racket face is closer to the hand than a tennis racket making it easier to hit the ball. 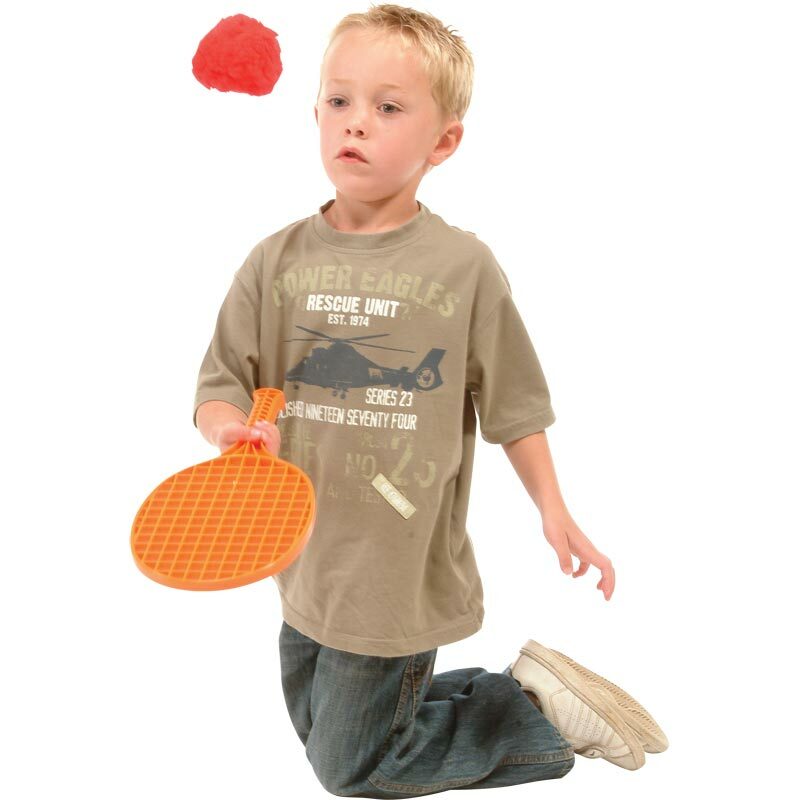 The waffle grid base allows for more spin when the ball hits the surface. One of each colour red, yellow, blue, green, orange and purple. Ball to be ordered separately. bright colours and fun for kids, good quality and made to last! I bought these as party bag treats for my sons’s 3rd Birthday Tennis Party instead of the usual tat. They are just what I wanted and arrived quickly.